Are Leaked Tapes Making Trump's Impeachment More Likely? Despite media hype, Dems are not picking up momentum. Left-wing mainstream media outlets keep on hyping up the Senate and House races, but markets aren’t having it. Political prediction market PredictIt has had Dems around 60-70% to take the House for nearly 3 months. Today they sit at 65%. As for the Senate, Republicans have been more favored. They sit at 73% today and have been around that number for months. Where’s the blue wave that the “Resistance” and their Girondist allies in the media keep on talking about? Maybe it will happen, maybe it won’t, but the only evidence in favor of the blue wave hypothesis is that people really want it to happen. 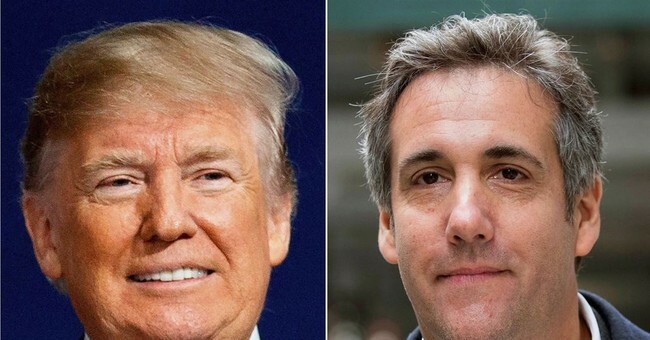 Cohen tapes hurt Trump, but not by much. The probability of Trump getting impeached spiked a bit, 36% to 39%, in all likelihood due to the Cohen flip on Trump. I would remind you that impeachment is not a legal proceeding. A president can be impeached for any reason. All that matters is whether there is enough political will to push the issue. If Trump racks up enough bad stories, even if none of them are “high crimes or misdemeanors,” he will be impeached. The impediment is if the public is paying enough attention to see through the transparently partisan nature of the impeachment push. Markets are signaling they will, but nothing is certain. What’s behind the Kavanaugh drop? PredictIt thinks there’s a 52% chance Kavanaugh gets confirmed by the end of September. Last week, he was at 59%. There are a couple different potential explanations for this. The first is that the Dems are playing offense on Kavanaugh. Every day there’s some new story about some decision he made 20 years ago and how it disqualifies him from service. Almost none of these are making their way to the front page, which makes me skeptical of that explanation. My contention would be that Trump’s random decision to pick a fight over the budget and force a government shutdown will crowd out Kavanaugh’s vote. McConnell will have difficulty fighting a war on two fronts, as everyone does. But if anyone can do it, he can. Despite the contempt most people have for him, McConnell is an incredibly skilled political operative. He may have the charisma of a rock, but he’s hyper-competent. Still, there’s only so much the Majority Leader can do if Trump decides the wall is a higher priority than Kavanaugh.